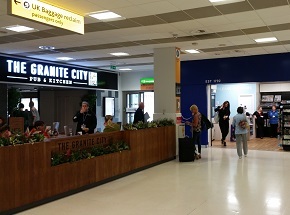 On arrival at Aberdeen Airport, collect your luggage and proceed to the courtesy telephone situated in front of the Granite City Restaurant. 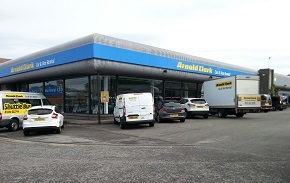 Call the number for Arnold Clark Car & Van Rental and, once your call is connected, please provide the rental operator with your name. The courtesy pick-up point is at the bus and coach area. The operator will let you know the exact location during the call. Please ensure that you have called the branch before going to the pick-up point. Proceed to the front of the terminal building towards the bus and coach area on your right. If for any reason you need to contact the shuttle bus driver, please call 07505 417926 or 07806 888628. Transfer to the rental branch will take approximately 25 minutes. During office hours, rental vehicles must be returned to the branch on Canal Road, Mounthooly, Aberdeen AB25 3TL. 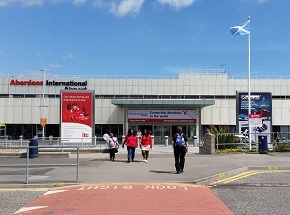 Upon return to the branch your vehicle will be checked in prior to your transfer to Aberdeen Airport in the shuttle bus. Please allow at least 45 minutes for your vehicle check in and airport transfer. The shuttle bus service runs at the following times, leaving from the branch going back to the airport terminal. With prior notice an airport out-of-hours vehicle delivery service can be provided. Please contact us at hello@celticlegend.co.uk to arrange this. The cost of this service varies depending on the day and time. 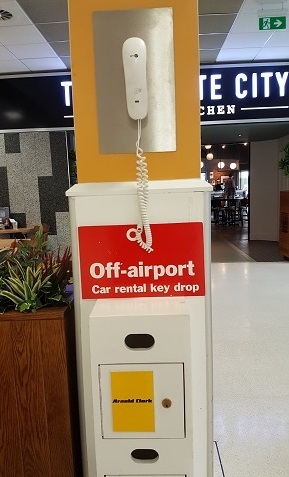 With prior notice an airport out-of-hours vehicle drop-off service can be provided. Please contact us at hello@celticlegend.co.uk to arrange this. 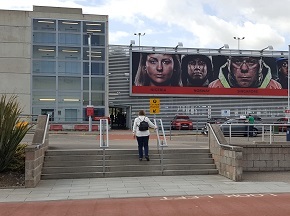 Park your rental vehicle in the short stay car park at Aberdeen Airport which is located opposite the terminal building. Ensure you have removed all of your belongings from the rental vehicle before locking it securely. Clearly mark the area of the car park where the vehicle is located (A, B, C or D) on the car parking ticket you were issued with on entry to the short stay car park. You must take this ticket with you. DO NOT leave the ticket in the rental vehicle. Proceed to the Arnold Clark courtesy phone which is situated inside the Airport terminal building in front of the Granite City Restaurant. Call the number for Arnold Clark Car & Van Rental. Once connected leave a message on the answering machine clearly stating which area of the car park the vehicle has been left (A, B, C or D), the vehicle registration number and the time returned. Drop the vehicle keys and the car park ticket in the box marked Arnold Clark Car & Van Rental below the phone.